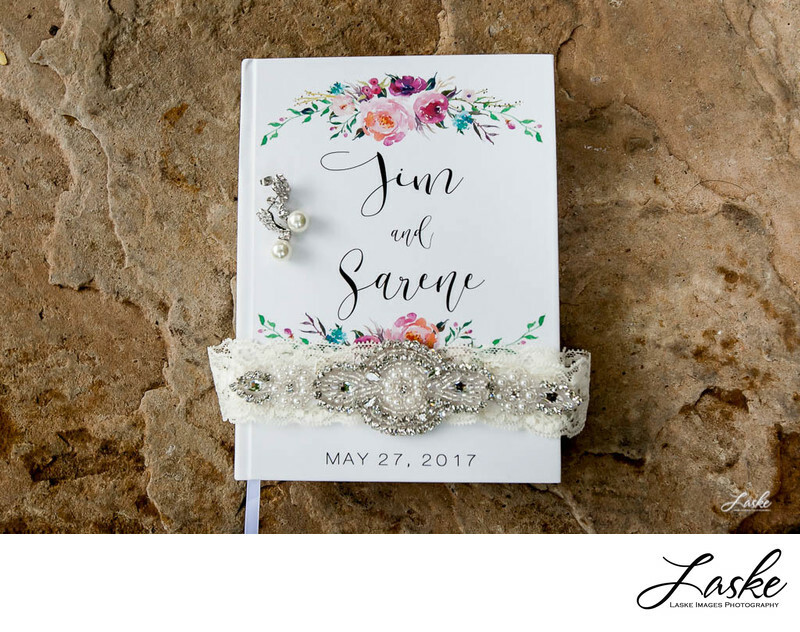 The Bride and Groom create a wedding book for their Big Day. You can also see the earrings and garter the Bride will wear. 1/500; f/5.6; ISO 1600; 35.0 mm.